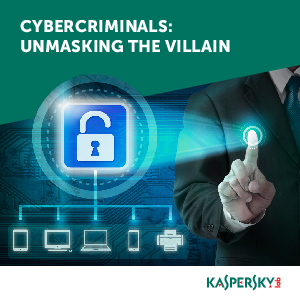 With all of the overwhelming statistics on cybercrime, it can be easy to forget that there are actual people behind these facts and figures. Have you ever wondered who they are? What countries they come from? Who are their top targets? · The rate of profit to effort for cybercrime is 20-to-1. attacked from 2014 to 2015 increased by 48.3%. hiring out their services in an effort to increase their ROI. This is the same type of intelligence that Kaspersky Lab shares with INTERPOL, CERTs and police forces around the world. Now it’s yours for the taking.